The emails have raised the issue of freedom of speech for some at the Capitol at a time when people are speaking out against sexual harassment in hopes of improving workplace culture. Sen. President Grantham weighs in on staff speaking out to media. "I think they should go through the proper process and if at that point nothing is done then perhaps the press would be the viable avenue to go through." Senate Secretary Effie Ameen, the chamber's nonpartisan administrator, sent the first email last month to 103 aides and interns. The email came a time when four legislators -- including three senators -- faced independent investigations into allegations of sexual harassment. Harassment trainings were also being conducted and journalists sought interviews with aides and interns about the trainings. She sent the email to the coordinators for the Republican and Democratic aides and interns. In it, Ameen cited the Senate employee handbook that staff must read and sign. Violations of the policies can be grounds for disciplinary action including termination. It adds that personal opinions can be construed as an official position of the Senate. Ameen sent a second email on March 5, 2018, to about 20 Senate staffers who work in a non-partisan fashion as administrators to legislators, noting that there may be ongoing investigations into workplace harassment complaints in the Senate. Among several complaints is one filed by a male staff member who wishes to remain anonymous for fear of retaliation. 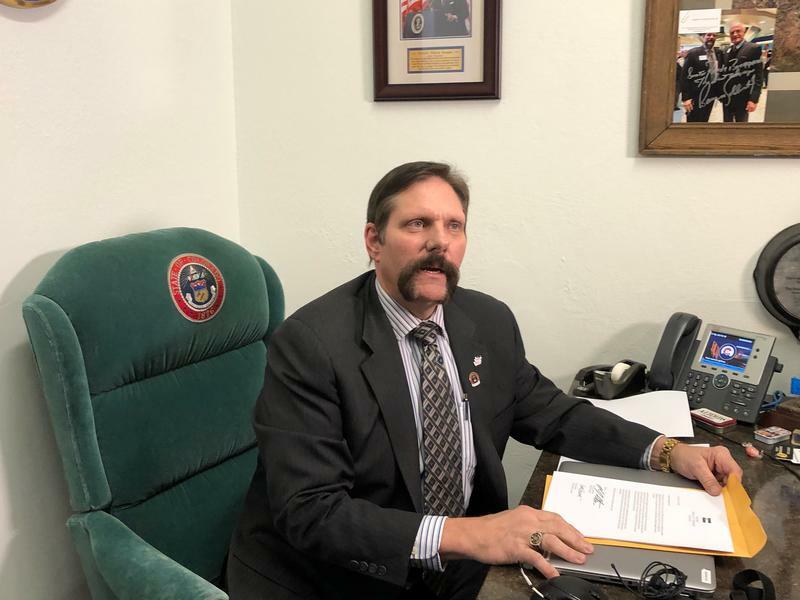 In it, he alleges Sen. Randy Baumgardner R- Hot Sulphur Springs, created a hostile and offensive work environment by repeatedly giving a female staffer unwanted attention throughout the 2016 legislative session. Baumgardner, who is also the subject of two other complaints -- denies the allegations against him. As part of the complaint filing process, the male staffer's identity is known to Ameen, the contact person for the complaint but it is kept confidential, along with the complaint. The staffer came forward to us in hopes his story would prompt further conversation about workplace harassment. After the story ran, the staffer said Ameen told him not to speak to the press again. “My manager [Ameen] then told me staff is not allowed to speak to the media,” the staffer said, adding that Ameen also said Sen. President Kevin Grantham was not happy with the news story. Under the General Assembly’s workplace harassment policy complaints are not public documents and the results of investigations are confidential, an accuser -- and the accused -- are allowed to go public with their allegations and findings. Still, Grantham, who ultimately receives the results of complaint investigations and decides what action should be taken, underscored his view that people should speak out as a last resort. Grantham added that he'd be OK with interns and aides being interviewed about training. A leading First Amendment attorney said that in the past, courts have upheld governmental restrictions on the speech of certain government employees. For instance, employees in the judicial branch of state government are prohibited from publicly discussing matters before the courts. But he said there needs to be a bright line of what is and isn’t acceptable. Former state Senate Secretary Cindi Markwell, who worked under four Senate presidents from both parties, said she does not interpret the policy in the employee handbook as a blanket ban. 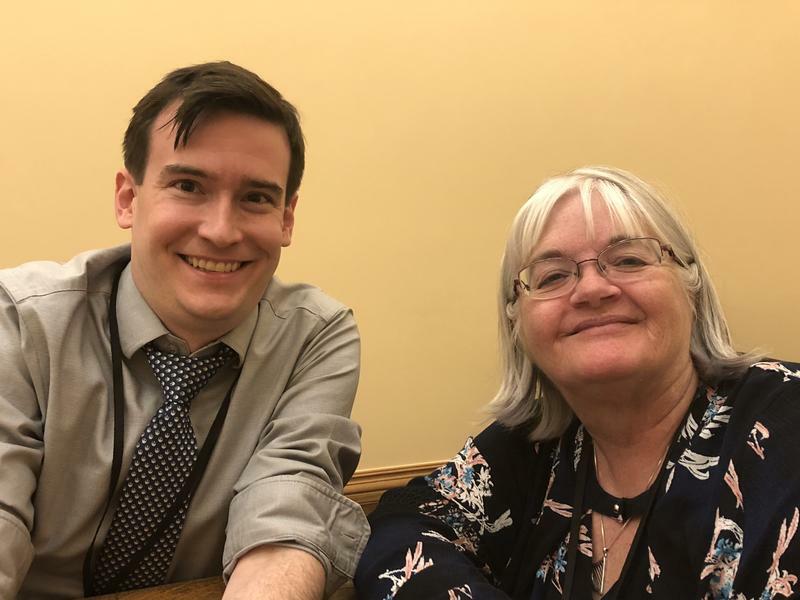 The policy, she feels, is intended to prevent staff from talking officially about work that’s in progress, such as behind the scenes policy negotiations and conversations and opinions about bills moving through the legislature. The House also has a policy restricting aides, interns, and staff from speaking to the media, but workers said it hasn’t been brought up in recent trainings or circulated to them. 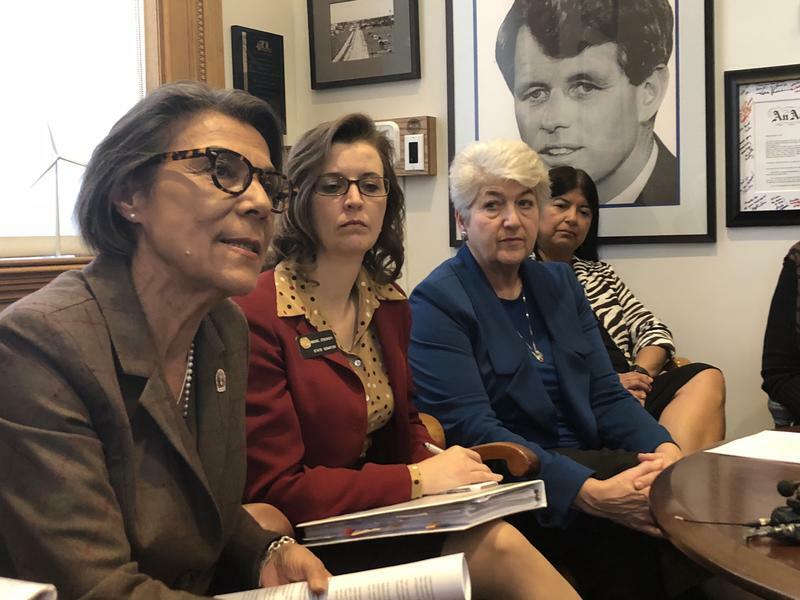 “If they want to talk about workplace harassment and their personal experience with it, I’m not going to tell them not to do that,” said House Majority Leader KC Becker. The House recently voted overwhelmingly to expel one of their own, Steve Lebsock, after an investigation found allegations of sexual harassment against him credible and claims that he retaliated against his accusers. Lebsock's actions became widely known after Rep. Faith Winter, D-Westminster, spoke to the media. Lawmakers interviewed for this story said they want people to feel comfortable speaking out. “They have to have the ability when they see something wrong or unethical to tell that story,” said Rep. Justin Everett, R-Littleton. He did not vote to expel Lebsock because he said the punishment was too extreme. But he said he supports the idea of anyone at the Capitol exercising their freedom of speech. He added that the press plays an important role in culture change at the Capitol because some aides and staffers may feel uncomfortable trusting complaints with partisan leaders. In the House, Democrats have control; in the Senate, Republicans have control. Sen. Steve Fenberg, D- Boulder, said the Capitol must facilitate an environment where people feel safe and respected and able to come forward, including going to the media. 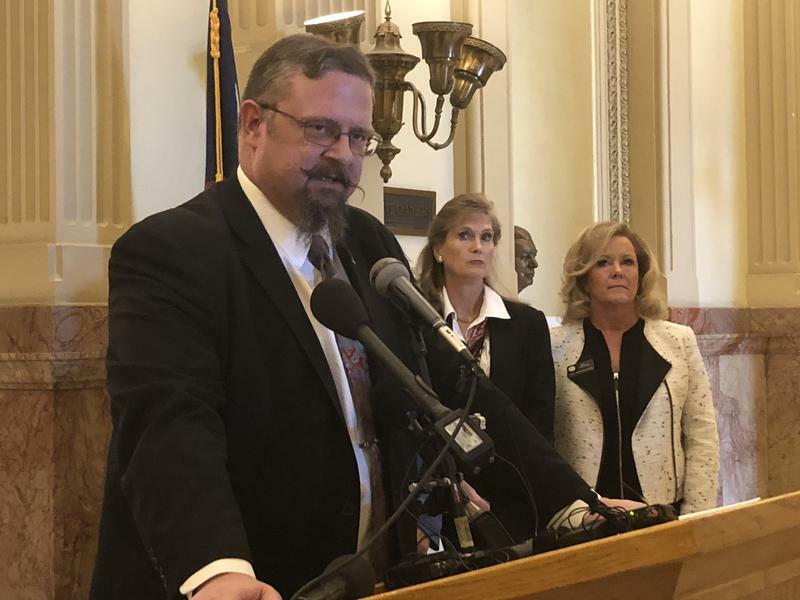 “This is painful for me to do so in many ways because I’ve worked on these issues for years," Baumgardner said, as he announced he would no longer lead the Transportation Committee. "I think it’s probably one of the best things I can do." 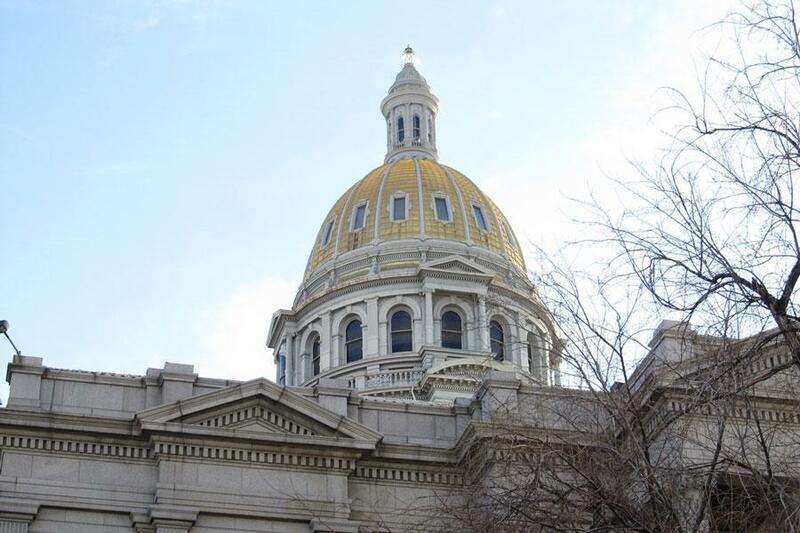 The leader of Colorado’s Senate said that last week’s historic decision in the House to expel a legislator amid sexual harassment allegations would have no bearing on how similar cases in the Senate are resolved. Senate President Kevin Grantham said the House made a tough decision to remove a fellow legislator from the Capitol.